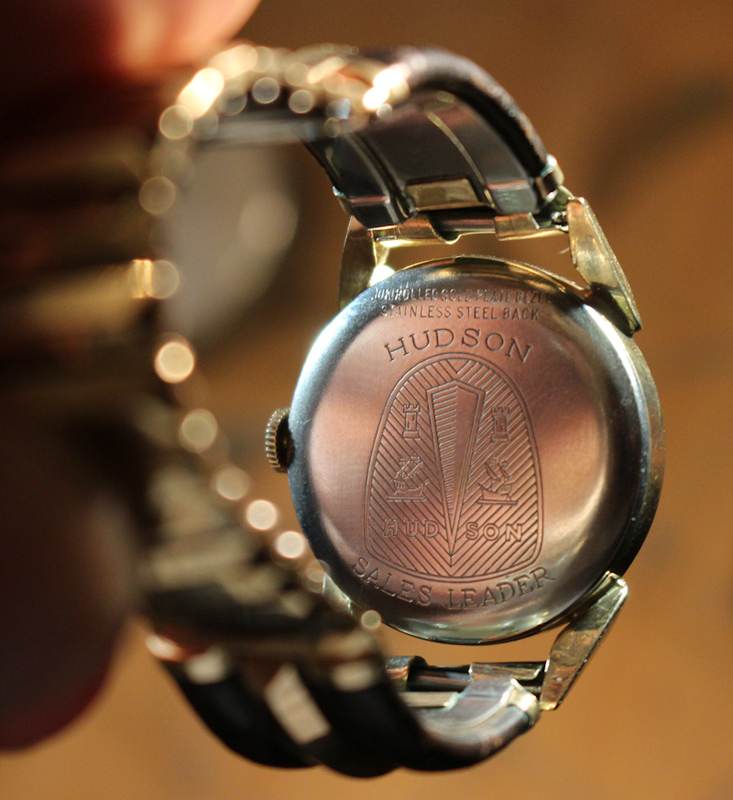 Unique watch given as a sales award by Hudson Automobiles. 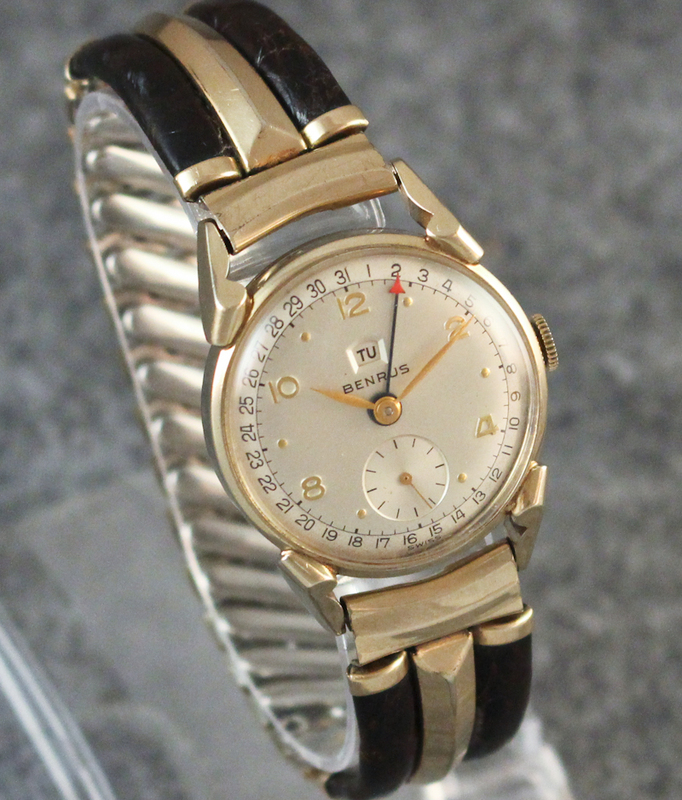 Category: Sold Watches Archive. 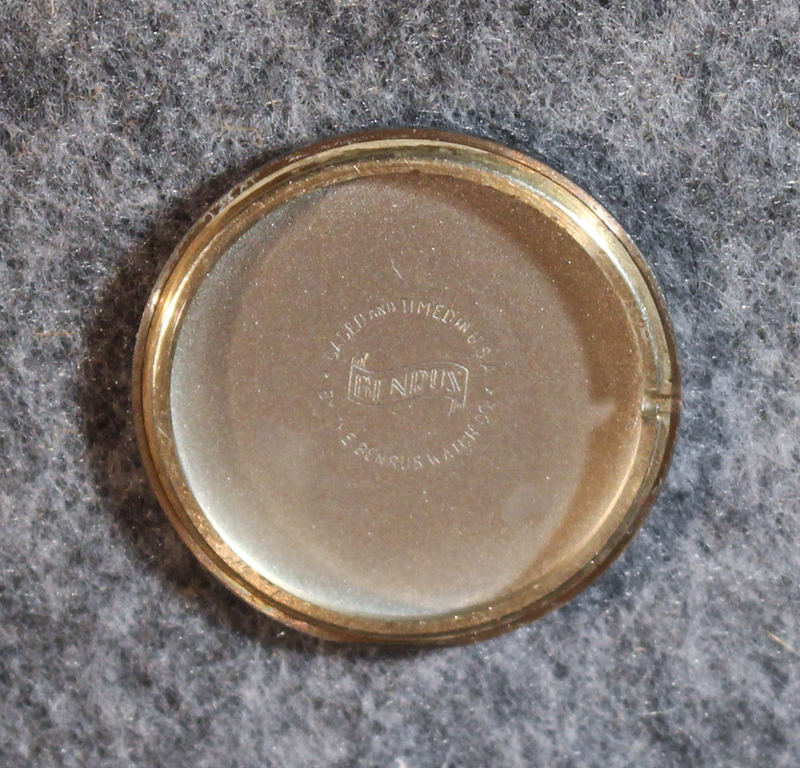 Tags: 10K rolled gold plate, 17 jewel, 1950s, round, yellow gold. A beautiful unique watch with a great story! This Benrus uses a third hand to indicate the date, and a window beneath the 12 o’clock marker to show the day of the week. This particular model was given as a Sales Award by Hudson Automobiles and is beautifully marked on the back with the Hudson emblem. 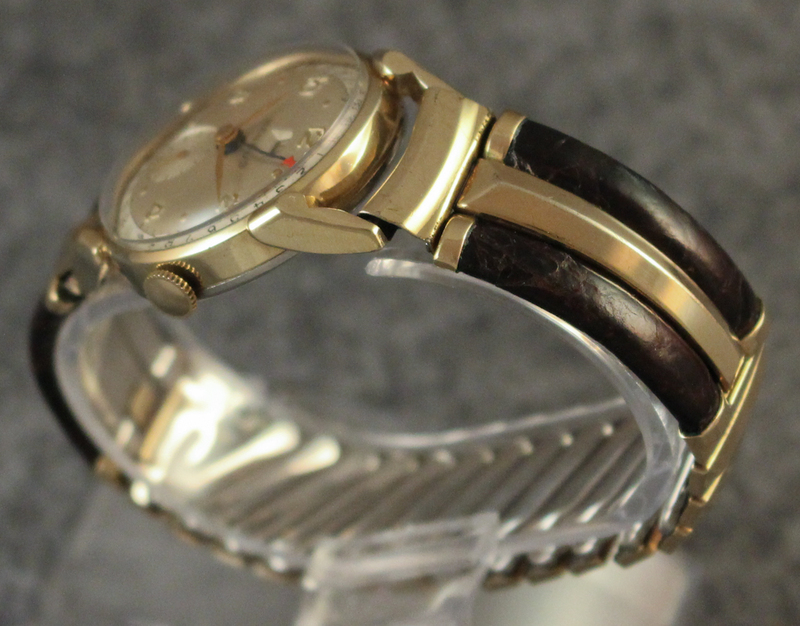 The watch has a 10K rolled gold plate bezel and a stainless steel back. The case is in great shape with no significant wear. 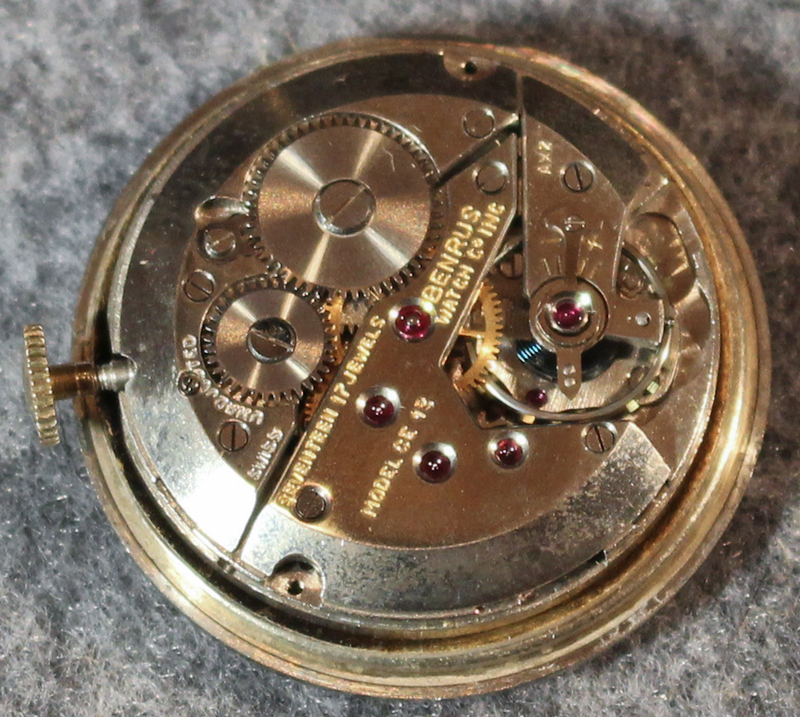 The movement is the 17 jewel Benrus CE 13 (aka, ETA 900). This is a manual winding, Swiss-made movement. The watch runs well and keeps good time. The day and date functions both work without any issues. 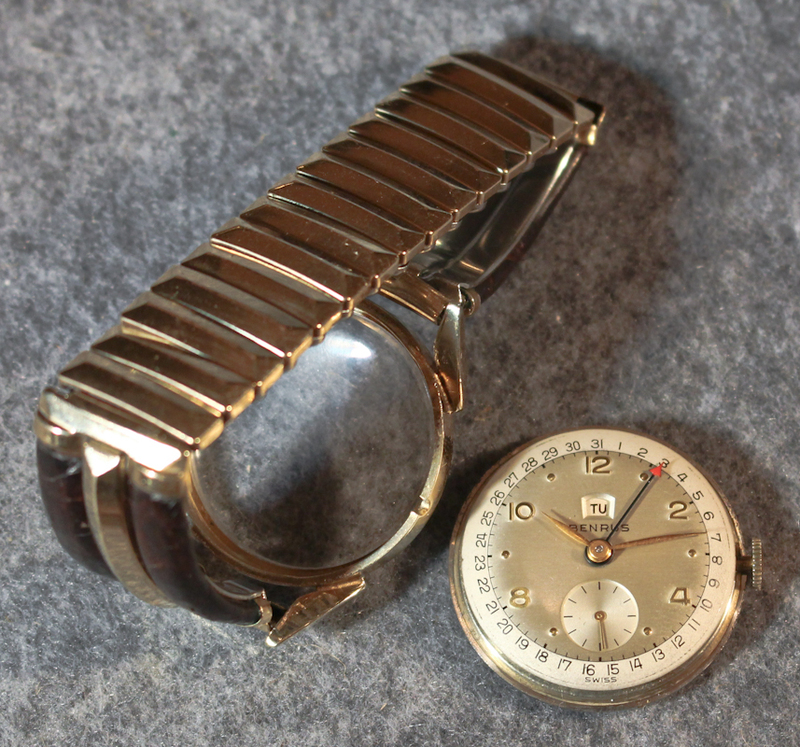 We’ve included with this watch a very cool vintage expansion band. The inserts you see in the photo are leather. 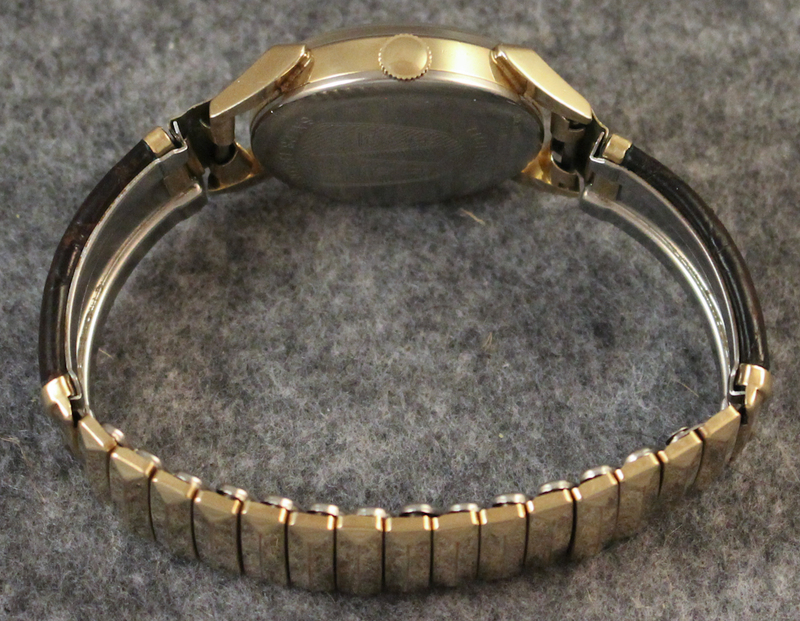 The band is in Excellent condition and the watch is ready to wear. A great piece for both watch fans and automotive enthusiasts! Note that while this watch is currently running well, we’ve not serviced this watch, nor do we know the service history. We encourage all buyers to have their watched serviced regularly to get the maximum enjoyment out of their vintage time piece.